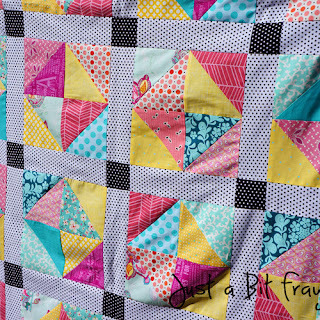 So, I finished this lovely quilt up finally a few weeks ago but I didn't get around to blogging about it yet! I call it Sweet Diamonds but I'm not really sure why. I called it that once while I was making the blocks and it just kind of stuck. One night I was wide awake surfing Pinterest and I saw this Pin. I decided to just get up and start working on it right away. It took me over a year to finally get it all finished but I really like the way it turned out. I used the Spot On tiny dots in white and black for the sashing and cornerstones. All the half square triangles were from my stash. Kathy from Thread Bear Quilting did this awesome quilting. I'm linking up with Amanda Jean's Finish it Up Friday! 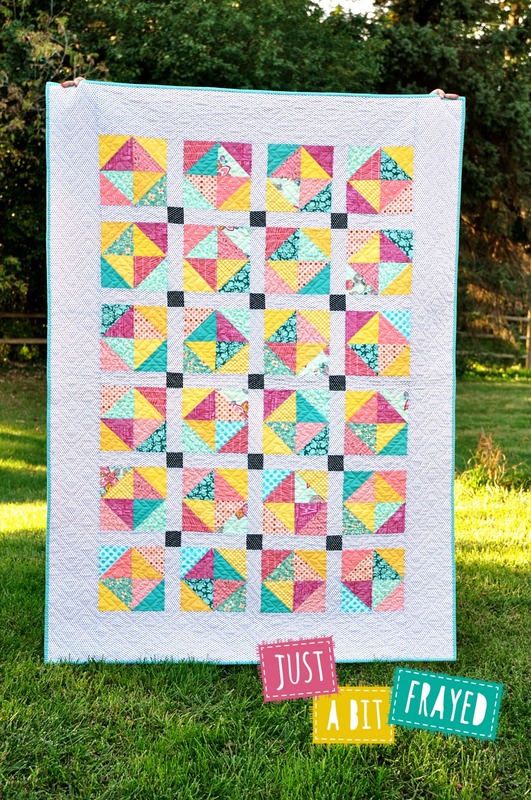 Have you seen her awesome Scrap Vortex quilt?? Amazing! Speaking of finishing tasks. I'm already thinking about New Years' resolutions. It seems as though my To Do list keeps getting longer and longer and I need to get myself a little more organized. I started reading David Allen's book Getting Things Done: The Art of Stress-Free Productivity and Zen To Done: The Ultimate Simple Productivity System by Leo Babauta. Zen to Done (ZTD) talks a lot about Getting Things Done (GTD) and The 7 Habits of Highly Effective People. ZTD focuses on how to create a new habit each month to help you along the way to being organized. I love the ideas in GTD but it's overwhelming to try to change your entire system all at once. I think reading both and gradually forming new habits will work for me. I know the New Year is still a month away but I really want to get some ideas on how I can help get ready now. What about you? Have you got a system that helps to keep your To Do list clear? Anyone out there using the GTD or ZTD systems? I will update you on how everything is working! OH! Don't forget! 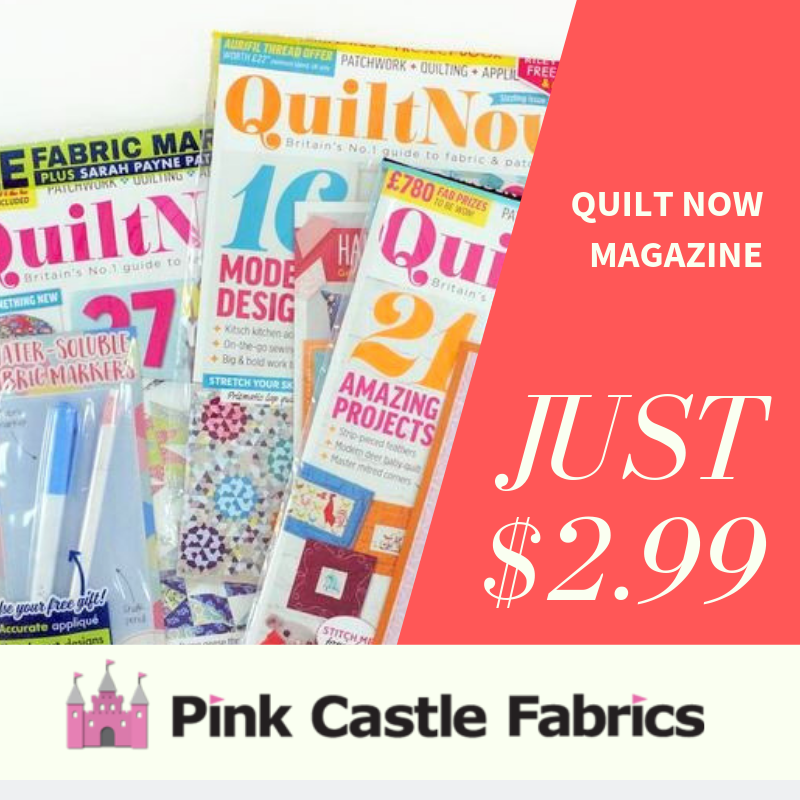 Everything is 20% off this weekend at Pink Castle Fabrics with code HOLIDAY20 ! I love your quilt, it is so cheerful! Cute. Cute. 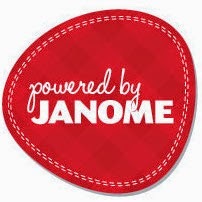 Come visit our blog! Love the colors - it looks great! What a beautiful finish, Brenda! I love the background fabric you used. It was really fun to see the inspiration piece as well!